He had his motor bike (Honda I think) which make louder noise like that of bullet. He was always there for the people no matter what time of the day or night. Imagine, there were no proper roads and street lights at that time but he always made it on his own, even in the middle of the night on his bike. He had his consoltor (dispensary still exists) just before Cansaulim Market, opp Old Post office Or closer to the new panchayat or PHC. Dr. Barbosa also had his consoltor at Utorda near Pondori posro, just before Musllint. (musonn ground)Consulting hours being late in the evening but we preferred going to Cansaulim which was not very far. and as such he was prominent figure at local wedding receptions 'savod' (raising toasts). Besides, during tiatr or village functions to say a few words. He had his own style as a toast master, often we imitated him. Of late, he spent his years at Adollem (near spring, down Birla road, Cuelim) where he had his farmyard. 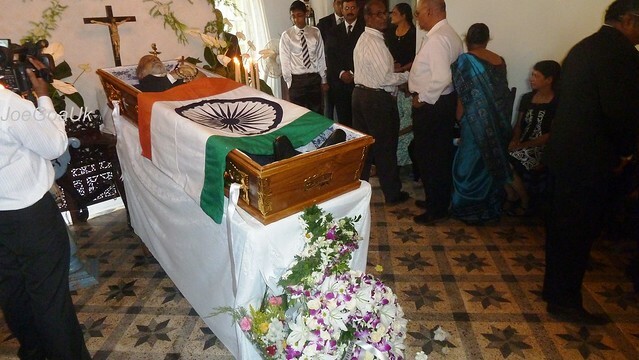 As we know, Dr. Barbosa was an MLA, Minister, Chief Minister and pro-tem speaker. Dr. Barbosa has two daughters, one son (also a doctor Margao dispensary behind Grace Church) and regular church goer wife. About 40 priests Concelebrated mass with Bishop Alwyn Baretto as main Celebrant with Fr. Sertorio Rodrigues, Parish Priest of Cansaulim, Fr. 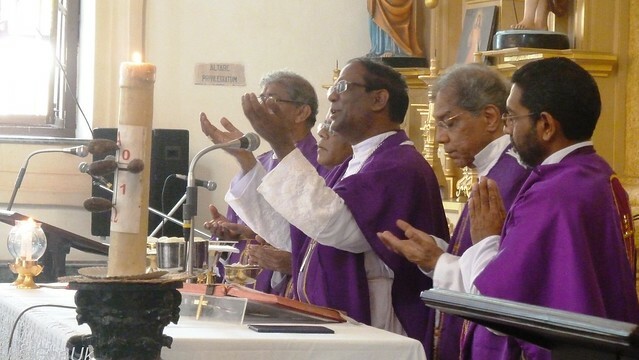 Remedious Fernandes Vicar General of Goa, Fr. 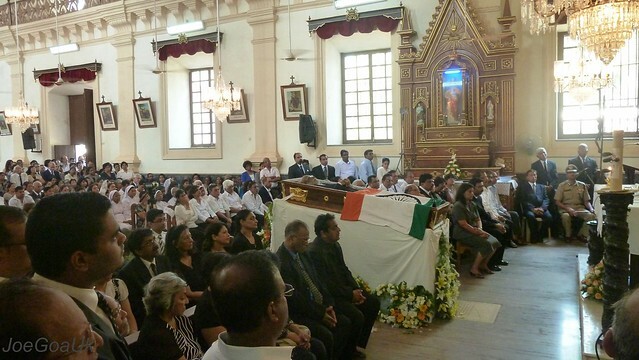 Carmo Martins, Parish Priest of Grace Church Margao & Fr. 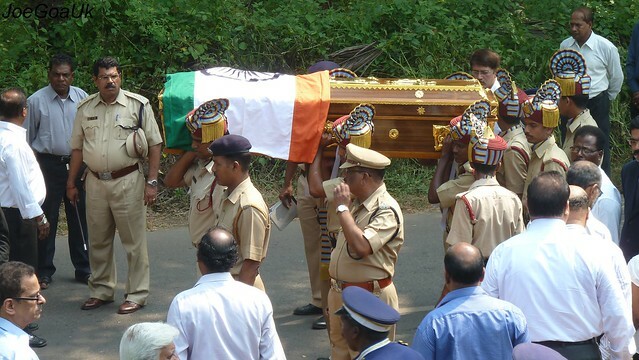 Lucio Dias, Episcopal Vicar for South Goa. Fr. Lucio & Fr. 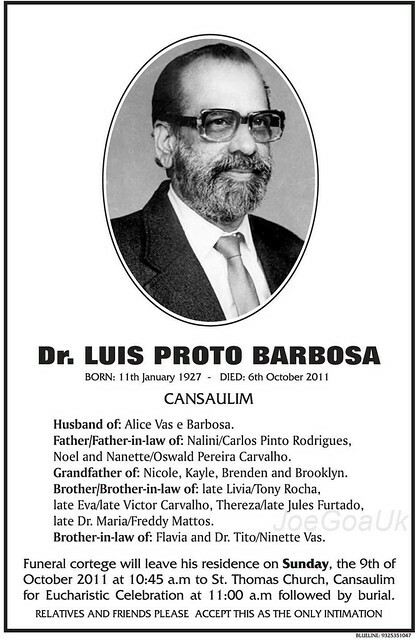 Remdious are nieghbours of Dr. Luis Proto Barbosa. Fr. 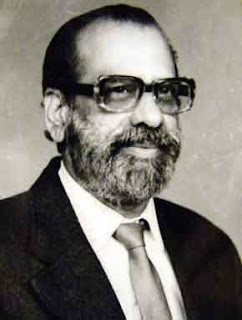 Valerian Vaz, Fr. 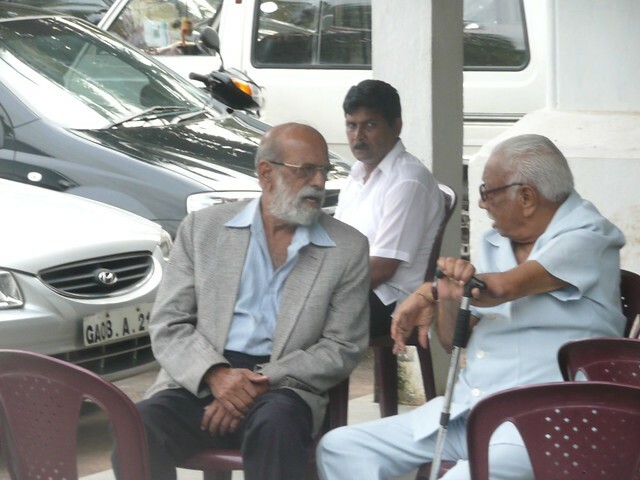 Eremito Rebello etc also seen amongst the 40 celebrants.